BARRY RUBIN: FRIENDLY ISRAEL AND TURKISH RELATIONS NO MORE……. – The Tundra Tabloids……. BARRY RUBIN: FRIENDLY ISRAEL AND TURKISH RELATIONS NO MORE……. The Turkey-Israel alliance is over. After two decades plus of close cooperation, the Turkish government is no longer interested in maintaining close cooperation with Israel nor is it—for all practical purposes—willing to do anything much to maintain its good relations with Israel. The U.S.-Turkish alliance, which goes back about six decades, is also over but much less visibly so, though the two relationships are interlinked. And that’s one important point in the first development. If the Turkish government was really concerned about protecting the kind of tight links with America that have existed for so long, it would be far more cautious about jettisoning the old policy toward Israel. But let’s take a step back and talk about the nature of the bilateral relationship and why it has come to an end. Basically, there were four important reasons for the close cooperation between the two countries which made eminent sense in the 1980s and 1990s. 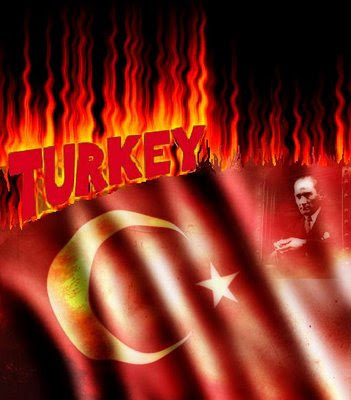 First, Turkey and Israel had common enemies, or at least threats. Iraq and Syria were radical Arab nationalist regimes which had problems with both countries. Syria claimed part of Turkey’s territory—Hatay—and was backing Armenian and Kurdish terrorists against Turkey. Iraq’s ambitions under President Saddam Hussein were also chilling for Ankara. Iran, as an Islamist state, was hostile to Kemalism and promoted subversion within Turkey. If Arab states were unhappy about Turkey’s growing proximity to Israel, they weren’t prepared to do anything about it, and had not given Ankara any great benefits previously. Moreover, as devotees of realpolitik, Turkey’s leaders thought that if Arab regimes and Iran were upset or fearful of this new alignment, it would give Turkey more leverage. While Turkish leaders complained that Israel didn’t do more actively to help Ankara win its confrontation with Syria over its safe haven for the PKK leadership, Damascus’s willingness to give in was surely related to the fact that it knew neighbors to both north and south were working together against it. Second, and related to the previous point, was the preference of Turkey’s powerful military which wanted the close relationship with Israel. Aside from the threat assessment, the Turkish armed forces saw Israel as a source of advanced equipment and technology that would be quite useful for itself. Especially useful was Israel’s ability to upgrade existing equipment at a relatively low price. Third, it was believed in Ankara that the relationship with Israel would help its vital connections to the United States, given the perceived strength of the pro-Israel forces there. This benefitted Turkey in regard to Greek and Armenian criticisms of the U.S.-Turkey relationship. Finally, there were mutual economic benefits. Commerce rose to high levels. Tourism from Israel brought a lot of money into Turkey. And there was the prospect of water sales, though these have never really materialized. These three factors have all eroded, in part due to objective changes in the world though to a very large degree due to the AKP taking Turkey down an Islamist path. I would suggest that while previous governments had their criticisms of Israel, if the AKP were not in power, the bilateral link would continue rather than being terminated. Previous Post Previous Post ISRAELI DOCTOR SLAMS UNHRC’S GOLDSTONE REPORT……. Next Post Next Post MARKUS LEHTIPUU OFFERS A REFRESHING PERSPECTIVE OF ISRAEL AFTER THE ANTI-SEMITIC ARTICLE BY RICHARD JÄRNEFELT…….